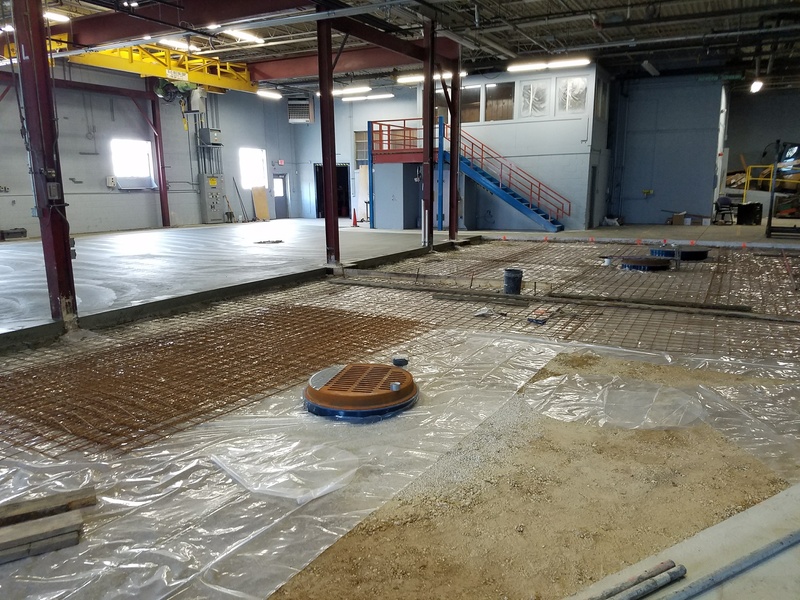 Work continues on EFCO Finishing’s new location on Fountain Boulevard in Menomonee Falls, and this past week, the vibratory finishing area took some huge steps towards completion. 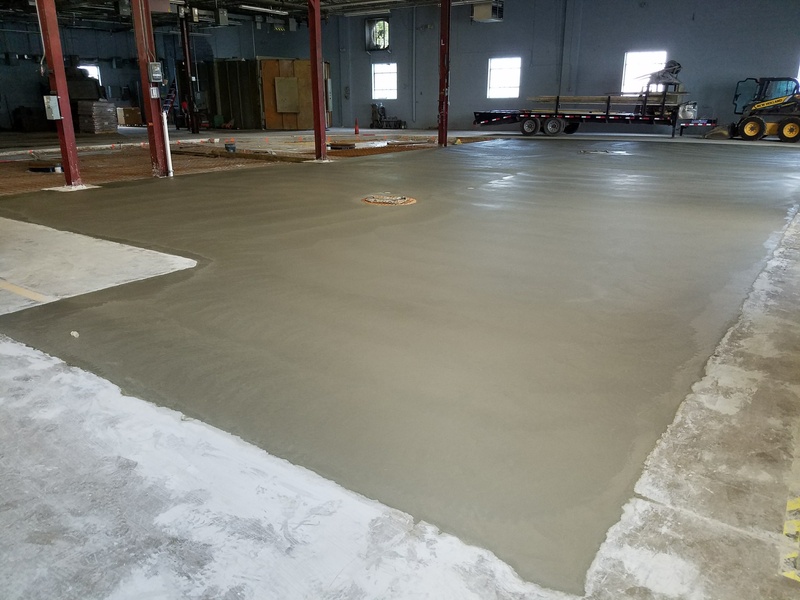 The area of the building that will house all the wet processes, including ball burnishing, had the concrete floor removed so a new floor with drains could be installed. These drains will collect all the waste water from these processes and funnel it to our wastewater treatment tanks, where the water will be treated before discharging, a process that has landed EFCO on the Milwaukee Metropolitan Sewerage District’s honor roll as a responsible corporate citizen for several years running now. This past week, about three quarters of the new floor was re-poured. The balance will be poured soon, and will then cure for a couple of weeks before bringing over our arsenal of machines in early August. Other work in progress includes painting the exterior of the building, as the interior of the shop and offices was done earlier. Electrical work to get our blast machine area running also continues, and this past week, our blast room re-opened and the first orders were processed at the new building. 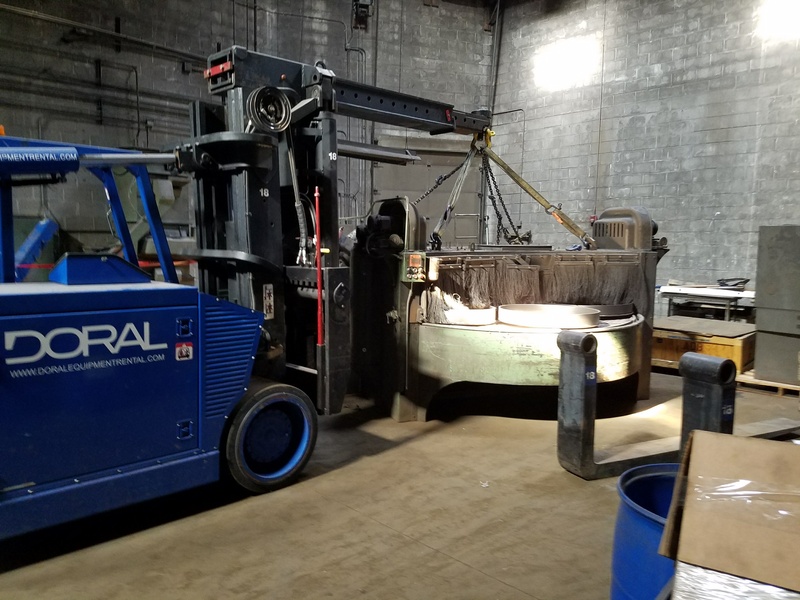 More machines will be coming on-line soon, and we will do everything in our power to continue to process orders in a timely manner! 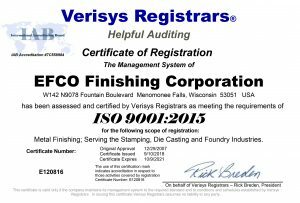 EFCO remains “Committed to the Finish,” both for your jobs and the completion of this project. When finished, we will have a great new home to provide even better, more efficient service than in the past. Stay tuned for additional updates soon!